Everyone has their favourite Mac apps, so why be limited to creating and editing templates in a <textarea>? Mountee allows you to access your templates as Finder files, so you can work uninterrupted in your favourite app. Even with ExpressionEngine's file syncing feature, creating files and changing file settings requires logging in and out repeatedly. With Mountee's File Preferences panel you can control template attributes – like caching and PHP processing – directly from your editor app of choice. Mountee knows ExpressionEngine. It allows you to edit snippets and global variables as files. When you save a template, Mountee will clear the cache and save a revision if necessary. If you drag a template from one site to another, PHP and caching settings transfer over seamlessly. View docs, change log and license details. 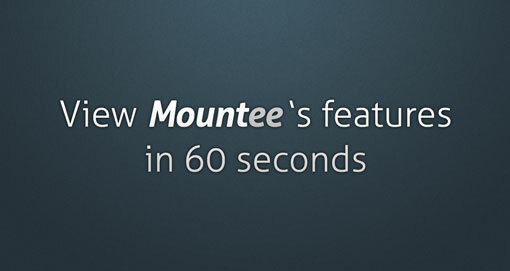 Mountee is the type of app that you don't realize you've been missing. It's fantastic. Mountee integrates so seam­lessly into your existing work­flow, you'll wonder how you ever built EE sites without it.